​Support us when you shop! 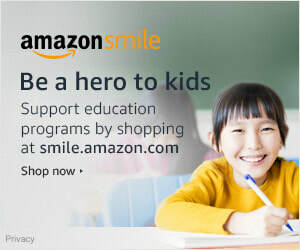 Go to smile.amazon.com/ch/20-2383109 and Amazon donates to Norton Embracing Educational Development Inc. This year we only had half of a year to raise money. Our grant cycle has moved up to January from June so that teachers will be able to use approved grants during the current school year and not have to wait until the next school year. If you would like to help us help Norton Public Teachers, please click the Donate button!